The day that I picked this up at the dump I was super excited. and started to pack forest depris all around it. I also added old tires, large rocks and logs. This part took a long time. Once we had covered the entire area, I put down grass seed and planted a few plants. I also spray painted the opening and added signs. I placed a yoga mat inside, for traction and keep little knees from getting sore. 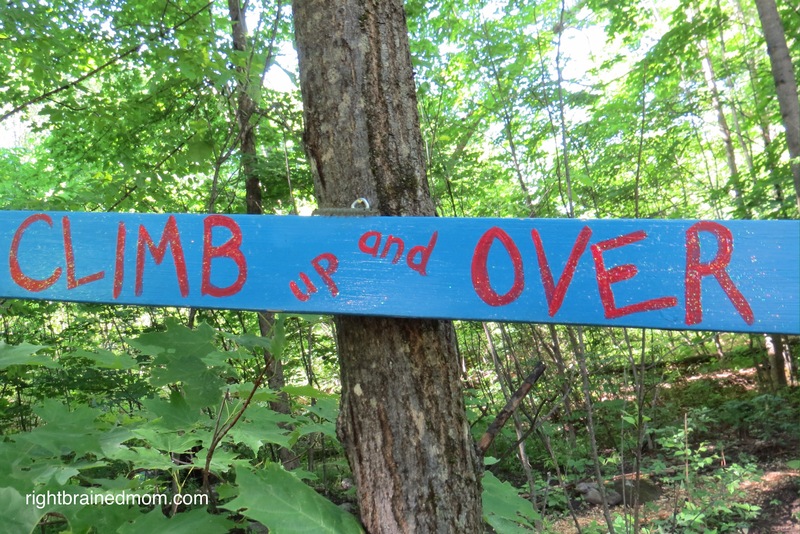 Hopefully the grass starts to grow soon – so that the kids will be able to climb up and over! 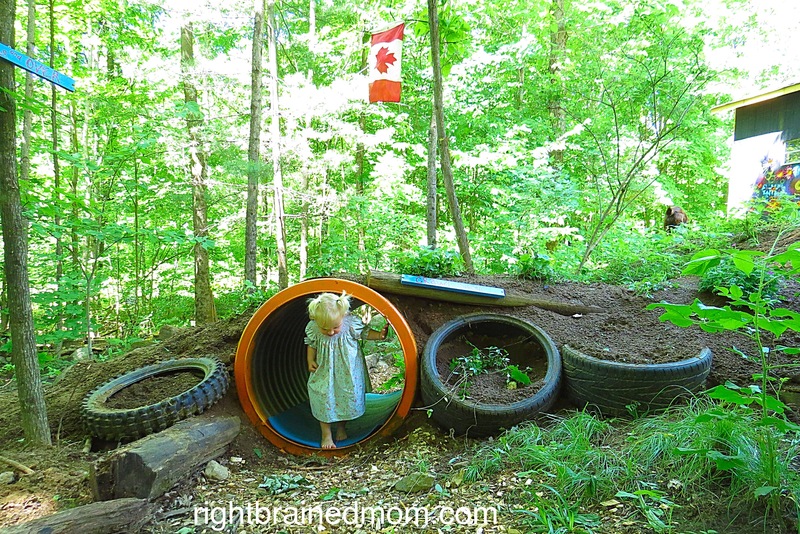 I’d love to see photos of your playground tunnels too! It’s great! 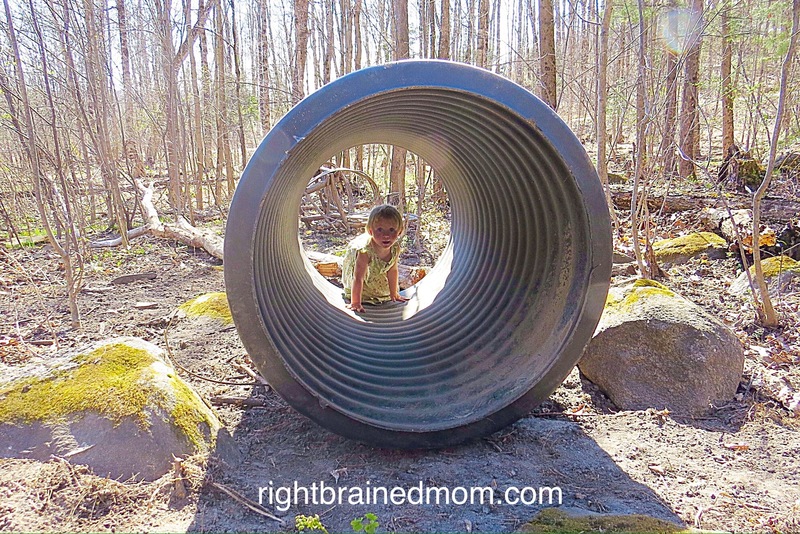 Children would love playing in the tunnel! You make me want to take a trip to the dump. What wonderful ideas. I can’t wait to get the backhoe back later this fall. 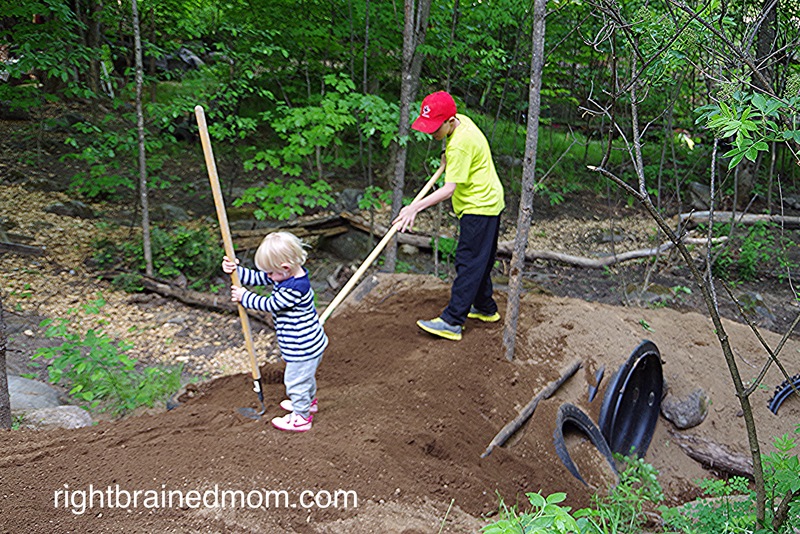 I was just looking for an excuse to make another hill for the kids or maybe it was just so I could play on the backhoe. Haha. You have a backhoe to play on??!! Can I come play too?! Lol. Fabulous! 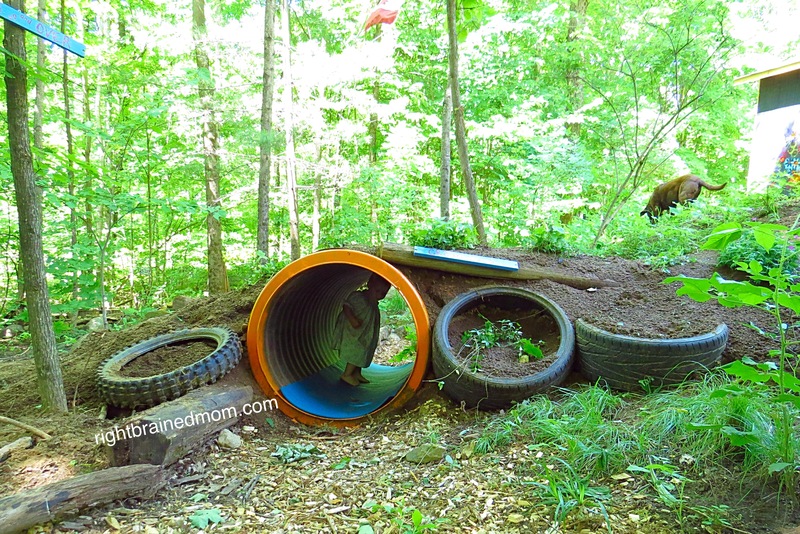 Wow, what a creative use of a culvert pipe! 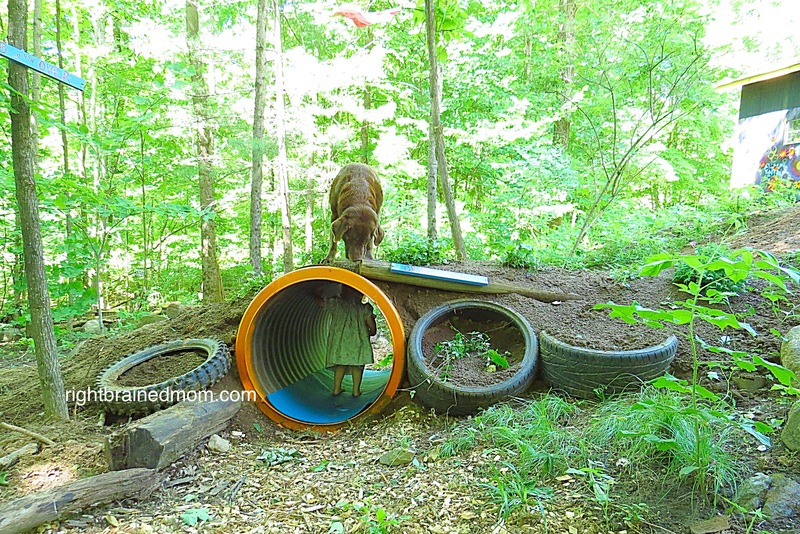 It makes the perfect little tunnel for kids to play around in. 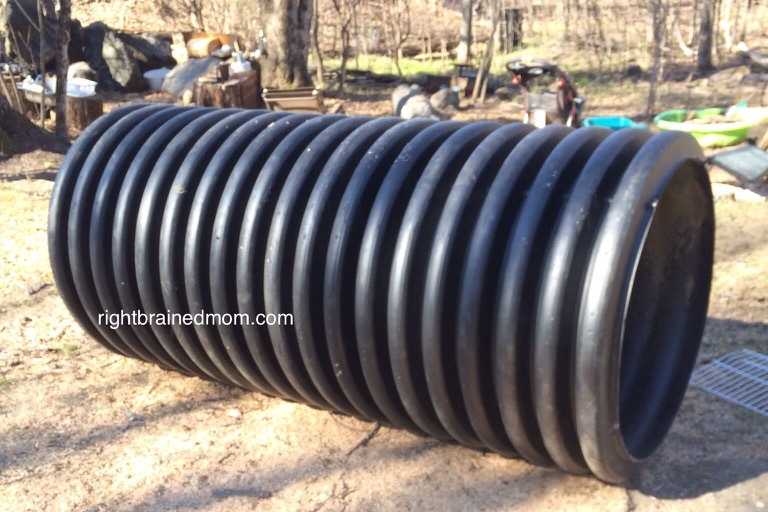 It also seems very sturdy, so you don’t have to worry about the topsoil being too heavy for it. 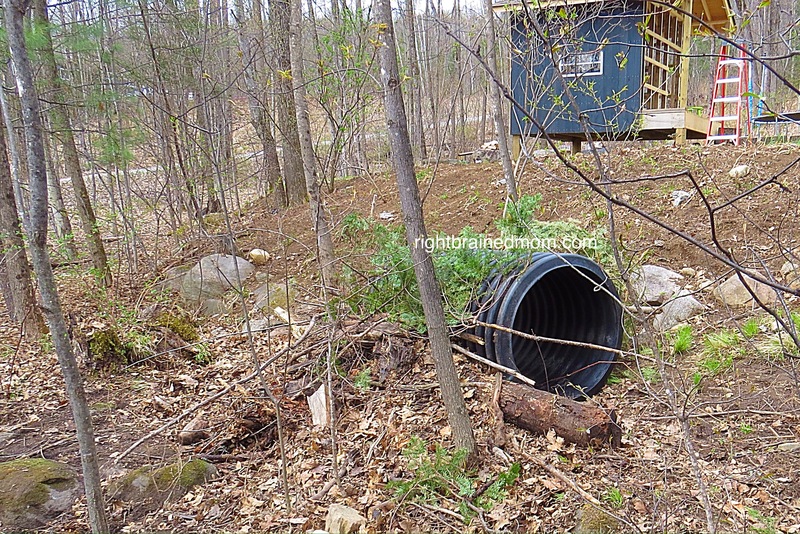 You lucked out by finding this at a dump. I wonder where I can purchase a new pipe like this. 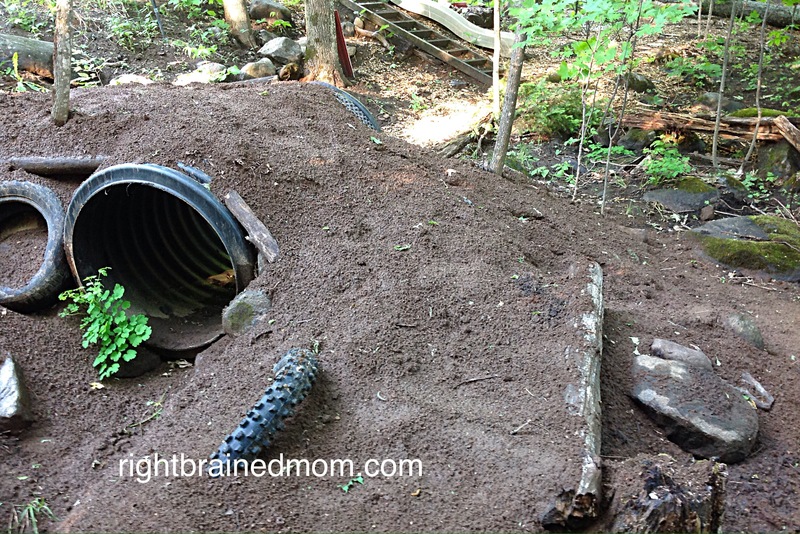 I am wondering if you needed to do anything to the edges of the tunnel? Were they sharp or did you sand them? This one was cut smoothly, so there are no rough edges – if you had to though, you could sand them.